Hey guys and gals, I’m back today with a new video that’ll be the first in our series about moisture! Water is important to our hair’s health—from within and without. In this episode, it’s all about the importance of water. Hair is approximately 10-15% water and can easily absorb and lose this water. This is why moisturizing + sealing is so important. Moisture is amazing for our hair. It gets into the hair, between our hair’s protein molecules/linkages, and makes our hair a lot more bendy and flexible. When the balance dips below this 10% range or so, our hair becomes a lot more rigid, brittle and stiff. Moisturizing and sealing the hair are as simple as applying water or a water-based moisturizer and then applying a light coating of oil or butter on top of that. That’s it! The type of moisturizer (liquid vs creamy) and the oil seal you choose (light oil to buttery/pomade-ish) depends on how you’re wearing your hair and your hair’s texture (strand diameter). What is moisture? Water and water-based products. Moisture support: Humectants (glycerin, aloe), Occlusive agents (Oils and butters) and emollients. In the next part of this series, we will cover basic water/moisture problems and what you need to look out for! Stay tuned!
. 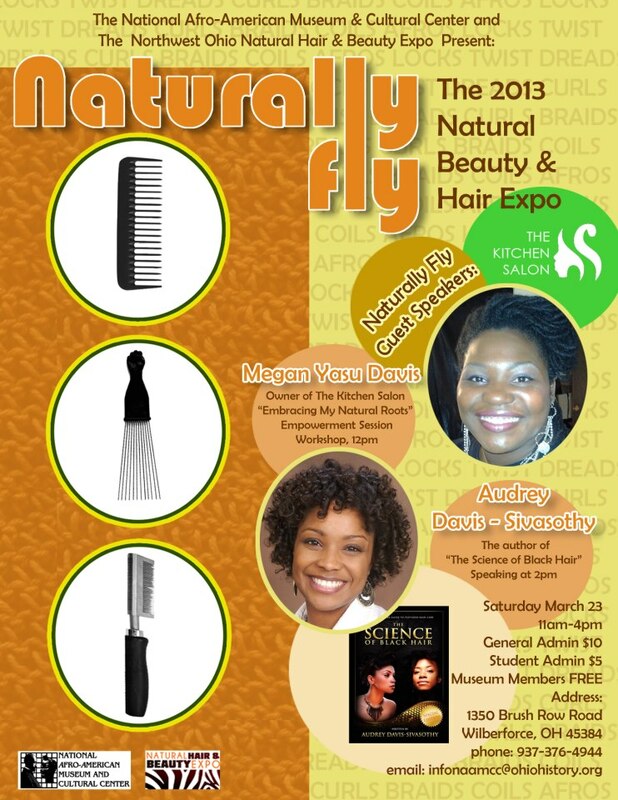 . . Also, if you’re in Ohio, I’ll be conducting a Science of Black Hair Workshop this Saturday at 2pm! Details below. I’ve had great success with the water + oil method for my locs. I spritz my locs daily (well, most of the time) with distiller water. Then I use a very light oil blend – carrier and essential oils – my own formulation – on my locs, paying particular attention to my ends. I love using my oil blend liberally in my hair when it’s still damp from a shampoo. My locs dry soft and full of sheen instead of dry and brittle like they used to. 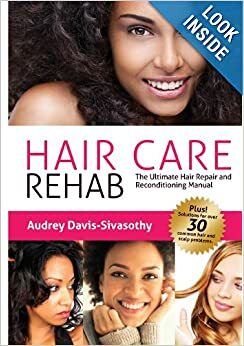 I love this blog post (and your book) because it helps me understand very clearly exactly WHY this approach is best for the hair. Thanks Audrey! Thanks for sharing that Nicole’. I’m sure that will help lots of loc wearers and well everybody else too! What’s in your oil blend? But on another note, I saw something 2 days ago that made me want to cry… A stylist in a barbershop, combing out a toddler’s wet hair while lowing it out… And the poor little guy was crying, sometimes screaming. 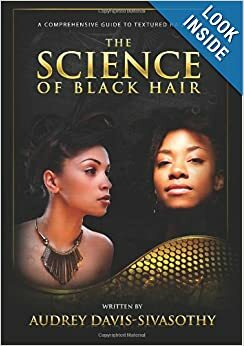 She used a fairly fine-toothed comb, grabbed his hair by the roots and combed it out in sections but from the middle of the strands… I wanted to show her the section in your book about detangling but she was insisting loudly that she was doing the right thing. Keep doing what you’re doing. The word needs to get out about how we should take care of our hair. Wow this video just brings your book to life!! I love the live photo demos as well as the pasta comparisons. Awesome information! 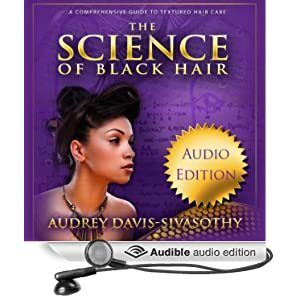 Audrey, I wouldn’t be surprised if you one day opened a, The Science of Black Hair Academy for those interested in this specific field! It is definitely needed. Thanks Chanda! I’m so happy that I haven’t bored you guys to death yet! I can definitely ramble! A hair academy… hmmm! Now that would be FUN! #bucketlist !! Very informative and helpful post. I love your video. Thank you for sharing tips about the basics of moisturizing and sealing. Have a nice day!